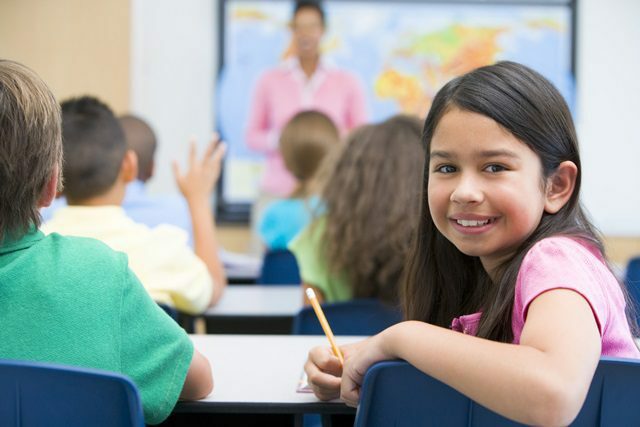 If you have a gifted or academically talented primary schooler, it can sometimes be hard to meet their learning needs and interests in a mainstream classroom. However, if you live in NSW you are in luck, because your child may have access to an Opportunity Class, often known as an OC class, which could provide just what you are looking for. Never heard of an OC class? Read on to find out how being in one could benefit your bright primary schooler. OC classes are designed to support gifted and academically talented children in Years 5 and 6. They are located in over 70 government schools around NSW and they are a sought after educational option for bright primary schoolers. Entry to an OC class is determined via an entrance exam, which Year 4 students can elect to complete in July. Mainstream classrooms which contain children of all abilities can sometimes pose challenges for gifted and talented kids. If the content being taught is learned quickly and not enough extension is provided, your talented student could easily become bored and disengaged at school. The aim of an OC class is to provide very capable students with the chance to learn in an environment that suits their unique needs. Teachers who have experience and training in the area of with gifted education usually teach these classes, and this can be a great thing for kids who thrive on challenge. In an OC class, classroom teaching techniques are varied and the curriculum offers plenty of extension options. Kids often get the chance to pursue self-directed learning that interests and motivates them too, and this could be a good thing as your child prepares for high school and later learning. It can be lonely at the top of the academic tree, and by the time your gifted child reaches Year 4, their academic results have probably been among the highest in their class for about five years. This is great for their self-esteem, and no doubt you’re very proud, but for some students, there’s not much motivation to work hard when everything comes pretty easily to them. OC classes give capable kids the chance to learn alongside peers who have similar, or even stronger, academic capabilities. The stimulating, well-resourced environment of an OC classroom offers these kids the chance to strive and learn from others whose perspective could enrich their own skills, and may be a good educational setting for your child too. Studies have shown that that talented students sometimes have quite specific interests and abilities that are not shared by peers in mainstream classrooms. In fact, some kids report being lonely in the playground because they find it hard to meet kids who have similar enthusiasm for the hobbies or advanced intellectual pursuits. Your child may be able to relate to this, because finding friends is just as important for a gifted child as it is for every other student in the school. OC classes often give very bright children the chance to meet like-minded peers who share their view of the world, and this can be a good thing for their learning and sense of self. While OC classes offer tremendous opportunities for kids, they’re not for everyone. To enter an OC class, you child may need to re-locate to another school that is not in your local area, and this may not be a preferred option for your child and family. Changing schools may also mean that your child needs to negotiate a new social and emotional environment, and if you have a highly sensitive child, you may feel that this could be problematic. If you are considering making application to an OC class, talk with your child’s current teacher about your son or daughter’s academic abilities, and if you feel it would help, speak with other professionals in the field, such as psychologists. Informed advice from people who can provide you with independent information might be just what you need as you think about your gifted child’s educational future. Does your child aspire to an OC Class? Kids First’s experienced teachers offer our popular OC Preparation Groups that help talented Year 4 students feel confident as they get ready to sit the OC Entrance Exam in Term 3. If you would like to know more about this program, which takes place at our centre in Sydney’s northern beaches, please contact us on 9938 5419 or complete the ‘Contact Us’ form below.